Who are your favorite speakers? 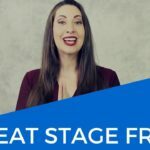 In this video, I wanted to share with you my five favorite public speakers (who may also be the world’s greatest speakers) that you can use as role models as you develop your stage presence and prep for speeches and presentations. This is the speaker’s hand gestures, how they work the stage and even their facial expressions and movements. This is how the speaker communicates the emotion of their content. We as viewers are more engaged by engaging speakers. This is how a speaker translates their content from script to performance. This is especially important for highly technical or complicated concepts, where transformation often is required to keep the audience active and awake. I also ask myself: Is this speaker fun to watch? Easy to watch? If I’m glued to my screen, they’ve certainly caught my attention. 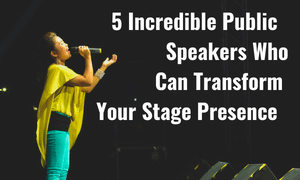 The best speakers have a unique personality on stage. Anyone can read from a textbook or memorize a script, but the real magic comes through when speakers adopt a unique voice, stage entrance or presence. These great speakers make you feel like you’re talking with them one-on-one over coffee. The best part is that these speakers find a balance between being authentic, while also delivering a captivating message. Tracee is an American actress, dynamic speaker and Golden Globe winner for her role in Blackish. Her background in acting has provided her with tremendous vocal variance and a riveting (plus hilarious) personality that comes through in her words. Watch Tracee in action here at the 2017 Glamour Women of the Year event. Tracee’s hand gestures and expressiveness immediately capture your attention, leaving you wanting to watch more and to hear her story. You’ll notice she exudes consistency with her verbal and nonverbal communication—there’s an authentic matching between what she says and how she says it. I’ve had the immense pleasure of seeing Scott speak in-person as well as on video, and he absolutely rocks it in both settings! Scott is the founder and CEO of the non-profit charity: water. Scott’s speaking personality is totally different from that of Tracee Ellis Ross. His approach is more casual, demure and humble. His gestures are minimal, but purposeful and powerful when used. He creates instant connection with the audience by laughing at his own jokes—this makes him likable and charismatic. Vulnerability is a key aspect of both personality and expressiveness and this helps create a connection between the speaker and the audience to share in the experience. The dynamic Malala is a Pakistani activist for female education and the youngest Nobel prize laureate, co-recipient of the 2014 Nobel Peace Prize, along with Kailash Satyarthi. One of the first things that strikes me in this video is Malala’s beautiful vocal power. She speaks slowly, with a determined purpose, and her hand gestures coincide perfectly with her pacing and cadence. This contributes to a sense of congruent messaging and is exactly why we like watching her. This one comes from the younger generation—one of my favorite kid speakers, Kid President himself! His youthfulness and expressiveness is a model of fun and engaging speaking that any adult can learn from and use to bring more passion out to play. You’ll notice the expressiveness runs through his core, from his eyebrows, eyes, mouth and body. 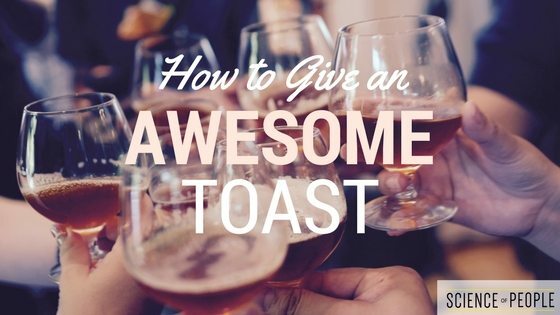 As adults, we often get overly formal with our speeches and presentations. We memorize and we deliver with power, but sometimes we lose the fun. Adding a little playfulness to your talks can add the captivating piece of the puzzle you may be missing. Of course, of course, Brene has made my list of the world’s greatest speakers! Brene Brown is a research professor at the University of Houston and best-selling author of multiple books, including Daring Greatly and Rising Strong. 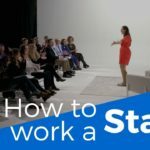 I hope these examples will help you improve your stage presence as well as your gestures, expressiveness and personality in each of the talks you give.